The Student Farm is moving from its current home on Big Hollow Road to the MorningStar site (see map here). The farm will be expanding to approximately two acres and will continue its mission within this site, which will focus on the food-water-energy nexus, taking a synergistic approach to food production. The new location will feature high tunnels to extend the growing season, which is crucial to success in the central Pennsylvanian climate. 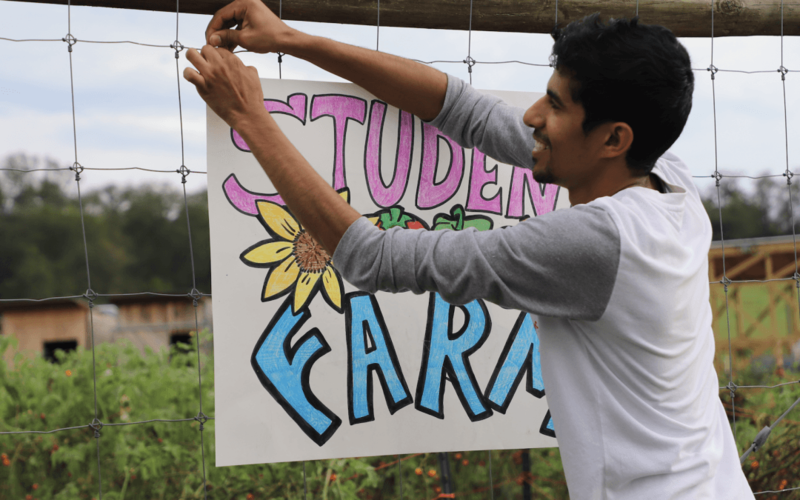 The farm will follow a four-year crop rotation to aide the soil health and farm sustainably without impacting the land more than natural and necessary. Moving plans are tentative right now, but planning is underway now, and the team hopes to move by the end of 2019. Be on the lookout for opportunities to contribute your ideas and insights to the planning process!